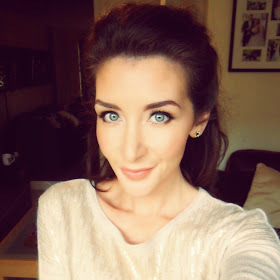 Firstly : What is Highlighting Concealer?? It can all be very confusing but in simple terms it's a thin concealer that bounces light to brighten and contour the face. 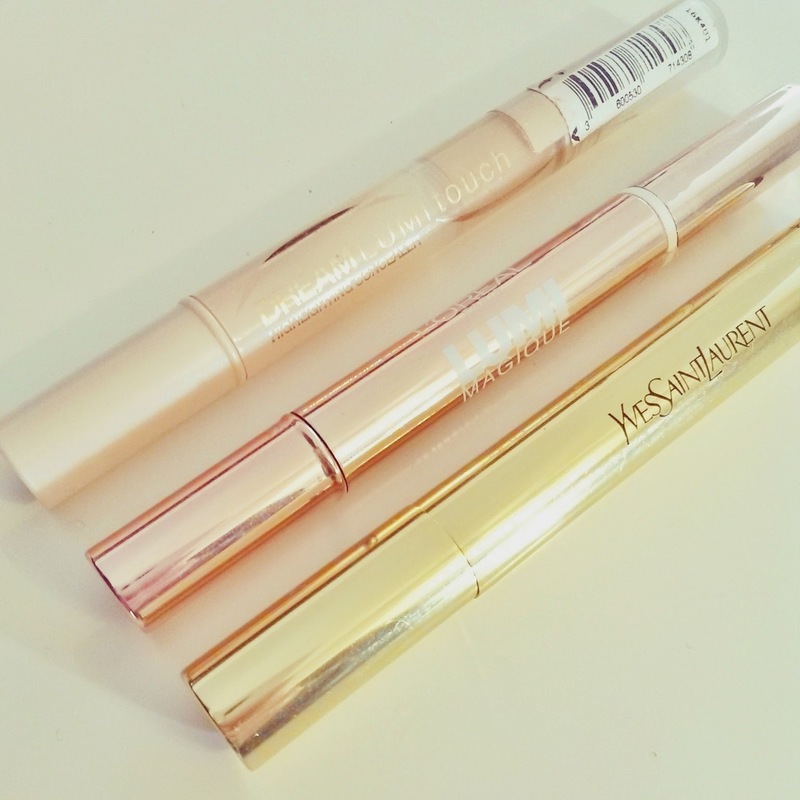 A standard concealer has a thicker consistency, and is used to cover blemishes and dark circles under the eyes. A highlighter can cover minor blemishes and circles but the texture is very light so isn't always suitable to help with problem areas. 1. Simply, this is one of the quickest ways to achieving that naturally healthy glow (even if in reality I'm tired and only rolled out of bed 15 minutes ago!). A small amount of product makes a big difference. 2. 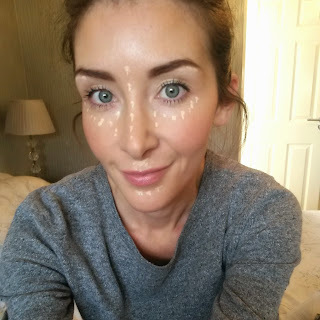 In the daytime I don't always want to wear a glossy or glittery makeup highlighter on the cheeks, so I use this for a subtle dewy glow instead. 3. As someone who suffers from dry skin, this is the closest I'm ever going to get to wearing a concealer - as the usual stuff is just way too thick for my skin type. Use a makeup sponge (or the tip of your fingers) to gently dab the product into the skin, this way you are blending the product without removing the foundation that's underneath. A tip for those with oily skin: You can still wear these products but you may want to add a light powder such as MAC Mineralize Skinfinish (especially under the eye area and nose) to prevent too much shine. Who wouldn't want a lovely luminous glow to their face whilst hiding the dull bags under their eyes! I think that would be no one!